I am the granddaughter of Romanian Jewish immigrants raised with many languages and cultures; a mixture of Northern English working class vaudeville and Central European traditions. This strange marriage has been the root of my theatre practice. It has also given me a fascination for other minorities and the experience of exile. Currently I am looking at a cross-cultural theatre piece in Arabic, Hebrew, English and French which focuses on the Bedouins which I will make with diverse theatre makers who come from other marginal groups. Women who have led extraordinary lives are my major inspiration. In 2009, I met a NYPD cop whose witness helped create a central role in my new play Woman On The Bridge: spending time with her gave me an insight into a new, exciting world of action. In 2010, when I was in NYC, with The Dybbuk, I was supported by The League of Professional Theatre Women. This made me value the importance of our networking. I want to take what I learned from these wonderful women and extend their generosity to others. My work has been generated by listening, particularly to older people whose lives have been dramatic. Their memories are often trigger source material. I teach writing at NYU in London and tell my students, interview your grandparents before it’s too late! My theatre influences have been Bertolt Brecht, Joan Littlewood, Tadeusz Kantor, The Rustavelli Theatre, The Living Theatre. Watching so much European drama has encouraged me to include fragments of other languages in my texts. I speak French and German and enjoy theatre that challenges the ear and brain. My favourite movies are Oh What A Lovely War!, The Threepenny Opera, To Be Or Not To Be, Being John Malkovich, The Great Dictator, A Serious Man, Zelig, Blazing Saddles, Some Like It Hot. Although I write theatre I would like my texts to become screenplays to engage wider audiences. As for other important women in my life, I knew Martha Gellhorn when she was in her eighties. She taught me that to be a curious and fearless writer is to defy death. 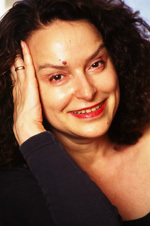 Julia Pascal. Plays published by Oberon Books. Staged in UK, France, Germany, Poland, New York’s Theater for the New City. Scenes from text St Joan presented at The Lincoln Center’s Directors’ Lab. First woman director at The National Theatre. Associate Director at The Orange Tree Theatre. Artistic Director of Pascal Theatre Company. Actress, director, teacher, producer, and loves it all. * Where do you look for inspiration? Mostly from theatre. I love to go to the National Theatre in London, because I find the shows to be very innovative and exciting in their ideas. Also, I love everything that Elizabeth George has written. BRAVE HEART is one of them. * What play or production changed your life? * Is there anything you still dream of doing? Directing on the main stage of a big regional theatre with a good budget and someone else producing! * I feel most like myself when I am directing or coaching acting. * What is your best escape? * What’s the one thing nobody knows about you? I wish I could fix all the problems in the world, and make all people live in harmony. 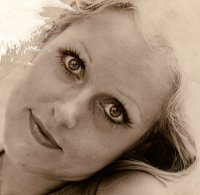 Alexa Kelly trained at Central Drama School, and has worked in theatre ever since. Taught and directed regionally and in NYC, universities from FSU to U of M. Founder of Harlem Summer Shakespeare. Artistic Director for Pulse Ensemble Theatre, NYC, for 22 years.